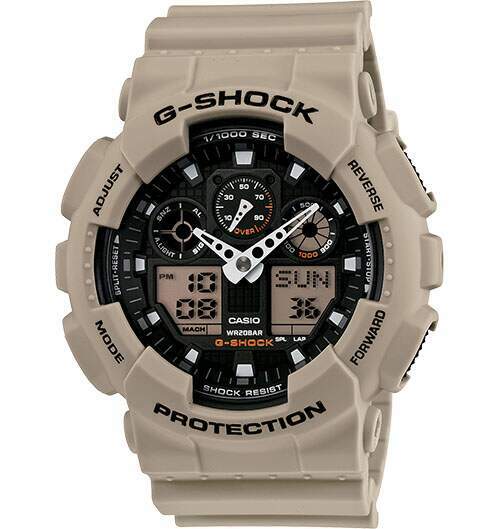 The Military Sand series introduces new beige colorways for our two most popular cases in G-Shock, DW6900 and GA100. 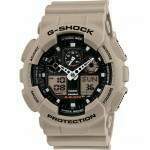 Designed after camouflage uniforms worn in the desert, the case and bands are all in matte sand beige with dials and function labels in black. These models showcase a new taste of military colors in both practical and fashion scenes. Resin band Analog and Digital watch with sand beige face with black highlights.